It is 1:30 a.m., Central European Time (GMT + 1). In a neutral Italy amidst a continent ravaged by war, the bells are about to toll all through the City and throughout the world. gave his soul up to the LORD he had always served faithfully, leaving the travails of the earth for eternity in the Church Triumphant, in sempiternal glory. Thank you, Saint Pius X! Please, intercede for us in Heaven above, that we may accomplish the words of the Apostle to the Gentiles you made your lifelong aspiration: "to restore all things in Christ"! And in eleven years, he did it. And his work was so magnificent that the "wickedness so characteristic of our time" that he mentioned above was almost unbelievably kept at bay from the Church during the bloodiest period of human history in the 50 years that followed his death, and that all good things that subsist in the Church after the debacle of the past half-century are imbued with his concern and passed through his hands. It is true that we often see the glass half-empty when we view the Church of our age, and the terrible years of her passion in the past half-century, during which, as one of his successors admitted, "the smoke of Satan enter[ed] into the Temple of God" -- but we must instead glorify God for the great man whose truly Catholic reforms built up the defenses that kept her integrity safe during her time of need. 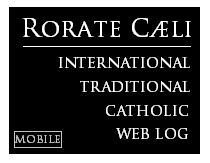 A sane liturgical movement, a strong Catholic identity, a safe doctrinal environment, an unsurpassed time of Eucharistic devotion, a rationalization of the law, the promotion of sound sacred music, the acceleration of the global expansion of missionary activities and the creation of numerous dioceses in mission areas, and the greatest vocational explosion in modern history beginning in his pontificate -- all accomplishments of the first pontificate of the 20th century, achievements which would collapse (but not totally!) only in the 1960s. So, instead of lamenting the recent past, we must celebrate the almost unsurpassed influence of one holy man whose work on this earth was a gift for God's Church, and whose eternal reward began exactly 100 years ago: Happy Birthday in Heaven, Saint Pius X, and thank you for everything. 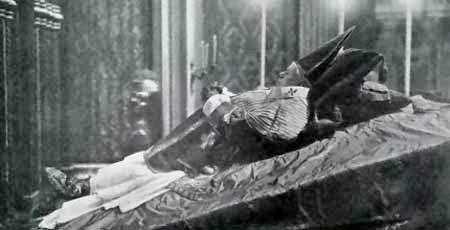 Transcribed below is the article on the death of Pope Pius X published in the August 22, 1914, edition of The Tablet, with links to our various posts and series on several aspects of the Sarto Pontificate. The text also provides a general tone of how the holy Pope was viewed -- loved and revered in an unsurpassed way -- by his contemporaries in the Church in that, the first month of what would be a long and devastating war. It is with inexpressible sorrow that we have to announce the death of the Pope. His Holiness had so far recovered from the serious illness which attacked him last year that hopes had been entertained that he might still be spared for the welfare of the Church. But he was in his eightieth year, and there can be no question that his powers, already weakened by his illness, were still further reduced by the sorrow with which, as he said, his heart was wrung at the outbreak of the great conflict in Europe [cf. centennial of exhortation Dum Europa]. On the fourteenth of this month, His Holiness contracted a slight bronchial cold, which, though accompanied by a rise in temperature, at first gave no anxiety. On Sunday he rose as usual, but was so weak that he was ordered back to bed. But Monday [Aug. 17] night was a bad one, and on Tuesday [Aug. 18] he was so much worse that it was decided to issue bulletins morning and evening. Unfortunately, the bronchitis trouble developed, and was accompanied by increased feverishness. On Wednesday [Aug. 19] his state had become so critical, owing to a sudden relapse, that by evening death seemed imminent, and a telegram from our Rome correspondent informed us that it was "now only a question of hours." That was only too true. At half-past two on Thursday morning death came, and released the sufferer from the heavy weight of the great burden of the Supreme Pontificate. Pius X has passed to his reward. 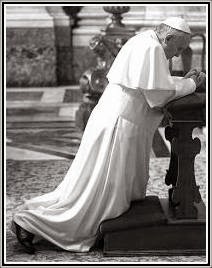 Yet another Pontiff on the long line of succession stretching back to the Fisherman has gone to give an account of his tremendous stewardship, and the Chair of PETER stands vacant in the midst of a worldwide Church in mourning. The news of the death of the Holy Father will have brought a sense of deep and personal loss to the millions of his spiritual subjects in every land, while outside the pale there will be multitudes who, owning no obedience to his authority, will be found to share our sorrow, and to render ungrudgingly the tribute of their veneration and sympathy. The august office of the Vicar of CHRIST is naturally one which has its claim upon the loyalty of Catholics everywhere, but in Pius X the claim was enhanced by all the attraction of a singularly lovable personality. There was that about him which endeared him to the faithful, and caused him to be loved and revered in a way and in a measure which even transcended the affectionate and admiring homage so abundantly yielded to his immediate predecessors. The history of the Papacy may be compared to a work of music, in which each pontificate has its own dominant note, endowed with all the variety of its individuality, and woven into unity with the whole by the oneness of faith and purpose. Were we, in this the day of our bereavement, to ask what was the ruling characteristic in the life and pontificate of Pius X, we take it that the answer which would rise spontaneously from the hearts of his subjects would be expressed in the words : "He was to us a Pope like ST. PETER-a man of GOD in whom we beheld all the power and the charm of apostolic honesty and simplicity." Therein, indeed, lay the secret of his success and of his special hold upon the veneration of Christendom. His victory was essentially the triumph of faith overcoming the world, and his skill was that saintly candour of the apostolic spirit, against which the subtlety of the sceptic and the hate of the persecutor measured their strength in vain. We are still standing too close to the chief facts of his reign to gauge aright their far-reaching importance, and it is only by endeavouring to put ourselves in the place of the future historian of the Church that we can hope to see them in their true perspective. -Thus considered, the pontificate which has just ended will be found to compress within its comparatively short limits a number of events which can hardly fail to be classed as notable landmarks in the Church's history. The primary function of ST. PETER is to confirm his brethren with that unfailing faith for which the REDEEMER has not prayed in vain. 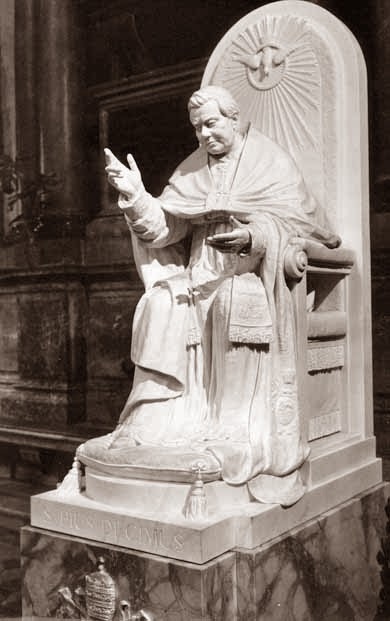 It is especially in these days, when the sects around us are struggling in vain to preserve for their systems a semblance of authority in matters of religion, and when, amid Kikuyus of different forms, earnest and truth-loving souls amongst their members are craving for some assured and authoritative guidance, that the Catholic Church, by the mouth of Pius X, has given to the world the proof once more that she alone, like her Divine Master, knows how to speak "as one having authority." That is the service which the late PONTIFF, in the fulfillment of his august charge, has rendered to Christendom, and we know not any which could be greater, or more precious, or more salutary, or one which could have been accomplished more thoroughly, and faithfully, and successfully. With these and other acts and annals of the late POPE before him, who shall say that he who comes in the future to write the Church history of our times will not find wherewith to mark the late pontificate as one which will take its place as a notable period of fruitful and far-reaching reform and beneficence. Amid the strife of nations, and the glare of the red war clouds which have hung over the sunset of his reign, we shall remember Pius X as the saintly POPE and the good pastor, the man of peace, the zealous lover of souls, whose whole life and work has been an unbroken record of good doing. "Transit benefaciendo!" [Acts. 10:38] In this the hour of her sorrow the Church may well lift up her heart in gratitude to GOD for having given to her so good and so great a Pontiff in the hour of her need, and pray that such another, in GOD'S mercy, may be vouchsafed to her to guide, with strong and steady hand, the barque of PETER in the years which lie before us. We also repost below the full address of Pope Pius XII following the canonization of his holy Predecessor, whose translation was published by us earlier this year. [Quest'ora di fulgente trionfo...] This hour of splendid triumph which God, Who lifts up the lowly, has arranged and as it were hastened in order to set His seal on the marvelous elevation of His faithful servant Pius X in the supreme glory of the altars, fills Our heart with joy, a joy in which you, Venerable Brothers and Beloved Sons, share abundantly by your presence here. We offer heartfelt thanks then to God in His goodness for allowing Us to take part in this extraordinary event; all the more so since, for perhaps the first time in the history of the Church, the formal canonization of a Pope is proclaimed by one who had the privilege of serving him in the Roman Curia. 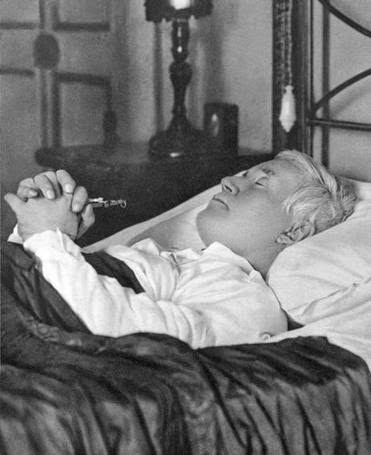 Saint Pius X, glory of the priesthood, light and honour of the Christian people, you in whom lowliness seemed blended with greatness, severity with mildness, simple piety with profound learning; you, Pope of the Holy Eucharist and of the catechism, of unsullied faith and fearless strength, turn your gaze on holy Church, which you so loved and to which you consecrated the choicest of those treasures with which the lavish hand of the Divine Bounty had enriched your soul; obtain for her safety and steadfastness amid the difficulties and persecutions of our times; sustain this poor human race, whose sufferings you shared in so largely, those sufferings which at the end stilled the beating of your great heart; bring it about that this troubled world witness the triumph of that peace which should mean harmony among nations, brotherly accord and sincere collaboration among the different classes of society, love and charity among individual men, so that thus those ardent desires which consumed your apostolic life may become by your intercession a blessed reality, to the glory of Our Lord Jesus Christ, Who with the Father and the Holy Spirit lives and reigns forever and ever, Amen! *At this moment, the time in Rome is 2:30 a.m., at Central European Summer Time -- but Daylight Saving Time (Summer Time, "ora legale") would only be established in Italy in 1916.